Japanese technology giant Toshiba Corporation has unveiled a pair of smart glasses connected to a small wearable PC device. Mobile mini PC dynaEdge DE-100 and the accompanying dynaEdge Smart Glasses are aimed at enterprises and priced at $1,899 (Rs 1.23 lakh). The small edge computing PC device is powered by Windows 10. It can be paired with either smart glasses, safety goggles or a helmet to help employees launch remote video chats, read documents or PDFs, take photos and share them, among other functions. In short, the PC device does all the heavy lifting and the display, connected to it using a USB-C cable, shows the results to the user. The PC device can be fitted into a belt case while the display is essemtially a monocle. Toshiba has labelled this concept assisted reality rather than augmented reality. The device is different from Microsoft's HoloLens which is technically a PC which rests on your head and lets you interact with surrounding objects. dynaEdge has an Intel 6th Generation m Processor, Intel HD Graphics, up to 16GB of RAM, 802.11ac and LTE wireless, USB ports and MicroSD slots, a headphone jack, and a fingerprint scanner. 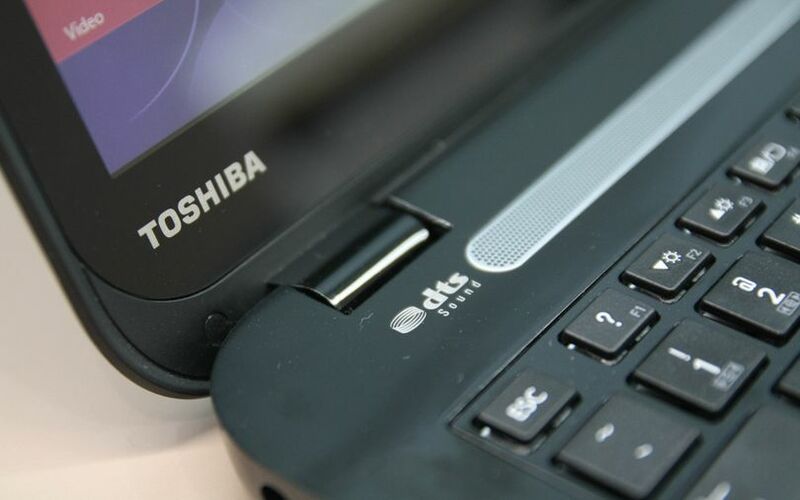 Toshiba's wearable mini PC, which can be used upto six hours on a single charge, comes with a touchpad, a five-button interface and voice input options. It can also be plugged into a PC display when not connected to the glasses to act like a desktop. The combo also features an integrated fingerprint sensor to regulate access to the dynaEdge Smart Glasses, in keeping with Toshiba’s earlier adoption of biometric security in consumer products. The product also comes with WiFi, Bluetooth and GPS and this means that live video can also be shared from the field as a use case for enterprises. According to a TechRadar report, the Japanese company has partnered with with enterprise wearable experts Ubimax for these smart glasses, which are expected to go on sale in the second quarter in Europe. Tech firms are still trying to crack the smart glasses space, with the likes of Google Glass and Snapchat Specs coming up short so far.